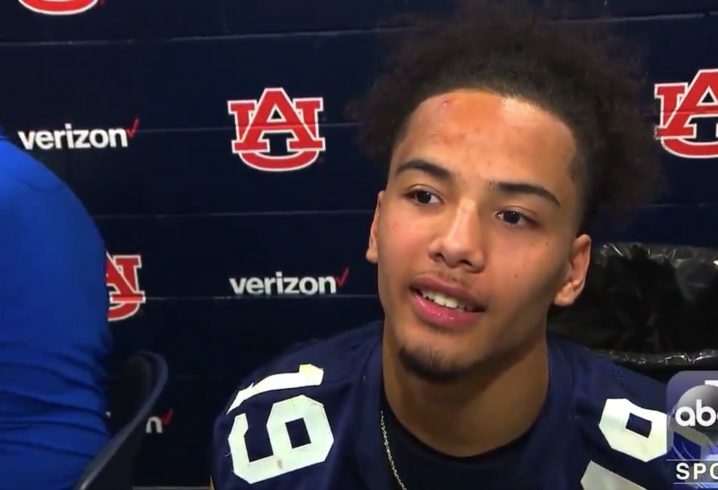 Auburn is counting on its receivers to step up following the departures of Darius Slayton and Ryan Davis. 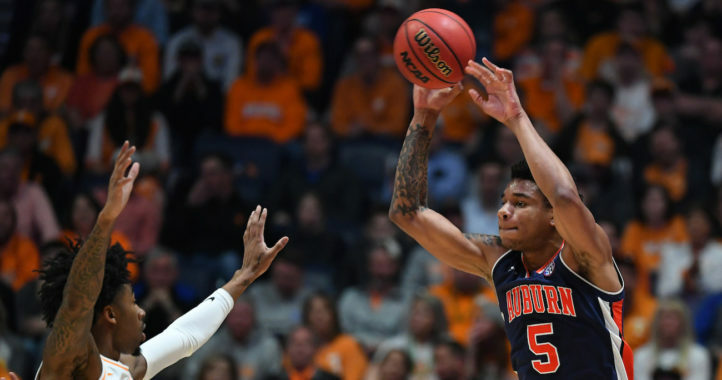 In Saturday’s A-Day, Seth Williams (the game’s MVP), Matthew Hill and Eli Stove all impressed. Super speedster Anthony Schwartz, who figures to get a share of targets and touches, was with the track team and did not play. Hill believes that Auburn has more depth than other schools, even the top two teams in the nation. “We have talent that any normal person probably doesn’t see,” Hill told reporters after the game. “I know Clemson has Justyn Ross and Alabama has Jerry Jeudy, but those are just main guys,” he added when speaking about AU’s depth. 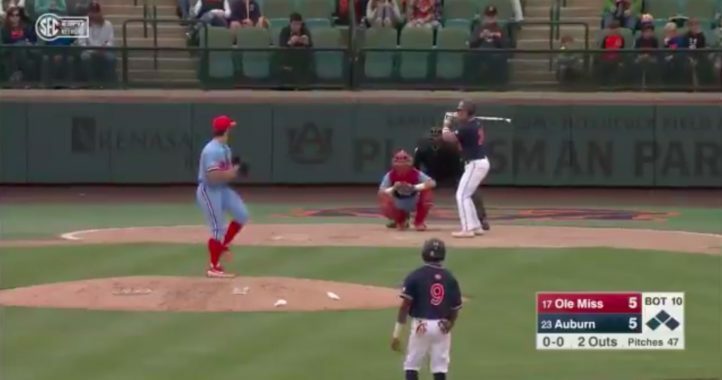 ABC Birmingham reporter Patrick Brickman captioned the clip with “Auburn’s Matthew Hill thinks the Tigers have the best wide receivers in the nation,” though Hill doesn’t say anything about best in the brief clip tweeted. Jeudy is elite and arguably the most prominent of the Tide wideouts, but Hill seems to be forgetting Iron Bowl rivals Jaylen Waddle and Henry Ruggs III. The pair combined for 1,589 receiving yards and 18 touchdowns. And while Ross led Clemson with 1,000 yards, Tee Higgins wasn’t far behind with 936 receiving yards. Amari Rodgers and the finally finished Hunter Renfrow also each cleared the 500-yard mark. I don’t think it was that much of a jab. If it was, I’m joining the mockery. I hate to break it to you but there’s only one football. I’d rather have one Superstar than a wr by committee approach. I match you with double coverage and raise you a dependable pass rush. Bama doesn’t just have one elite receiver though. They have a whole stable of those guys. I would rather have a bunch of unselfish elite receivers than a bunch of good ones. I really don’t think the guy was trying to crack on Bama’s receivers though. He was just trying to prop up his. Most definitely. Bama has the best quartet in the nation with Jeudy, Ruggs, Smith, and Waddle, and it’s not even close. Shouldn’t you catch a pass in college before you brag like that. I grant you that they have above average speed but how about above average hands or route running. Pro tip for Hill – just stop talking. It’s not about being better than Ross or Jeudy. It’s about lining up and beating some of the best DBs in college football. Focus on that. Yeah you’re exactly right, it’s about lining up and beating the DBs in front of you, whether that’s blocking them or running your route and creating separation. He did make some nice catches during the spring game. Hope it translates to the field this fall. We do have a lot of talent returning at the WR position. it is depth of talent he is talking about, and he is right. I don’t think he is right. Even with depth of talent. Bama is returning their entire starting receiver core. Each of which did more than the UA receivers. I respect his passion but not I’m not sure a receiver who didn’t catch a pass last year is the person who is qualified to give these talent evaluations.